Ben practices corporate and alternative entity litigation in the Delaware Court of Chancery, with a focus on mergers & acquisitions, fiduciary duties, corporate governance, and contests for corporate control. Ben also provides advice to corporations and their boards of directors regarding the Delaware law implications of pending transactions and the governance of insolvent and near-insolvent entities. 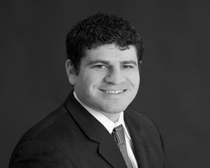 Ben also has experience working with complex commercial litigation in the Delaware courts. Before joining the firm, Ben practiced in the Corporate Counseling and Litigation Section of Young Conaway Stargatt & Taylor, LLP, where he was also a member of the Portfolio Company Specialty Group. Ben has also served as pro bono counsel to Professor Geoffrey C. Hazard, Jr. in the filing of an amicus brief in the U.S. Court of Appeals for the Third Circuit addressing the interplay between New Jersey’s affidavit of merit statute and the Federal Rules of Civil Procedure.